Early Australian Linens - a private collection. : School samplers and other styles of sampler. Two very old school samplers cc mid 19th century. One has a few stitches done. Three Semco sampler kits. 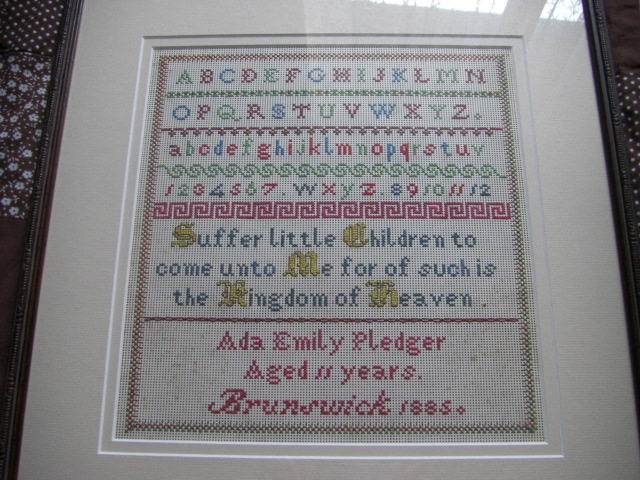 Cross stitch design printed on calico. A friend gave this to me. Her grandmother used to mind this little girl, but that's all the family knows about it. It is sewn on to perforated paper, not linen.